In an effort to measure and assess our performance against set standards, Dr Andrew Kissane has taken part in clinical governance activities, including an audit cycle. We are conducting this practice at the American Clinic Tokyo and have audited the outcomes we are achieving for patients. 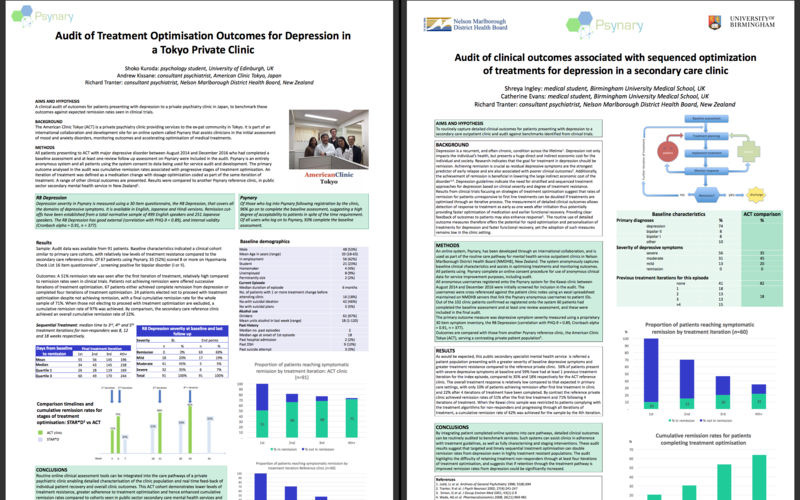 The data has been published in an audit poster at the Royal College of Psychiatrists International Congress 2017 held in Edinburgh.